There are several ways to earn a coupon. We keen to provide the best offers to our customer around the world. *All coupons are calculated in USD (US Dollar) currency. *Some coupons can only be used under some conditions. 1. '$10 Off' for Every New Customer! For those customers who have registered before 26th March, 2015, a '$10 off' coupon will also be added to customer's My Coupons list. 2. '$5 Off' for Every Review! 3. '$10 Off' for Every Review With Pictures! 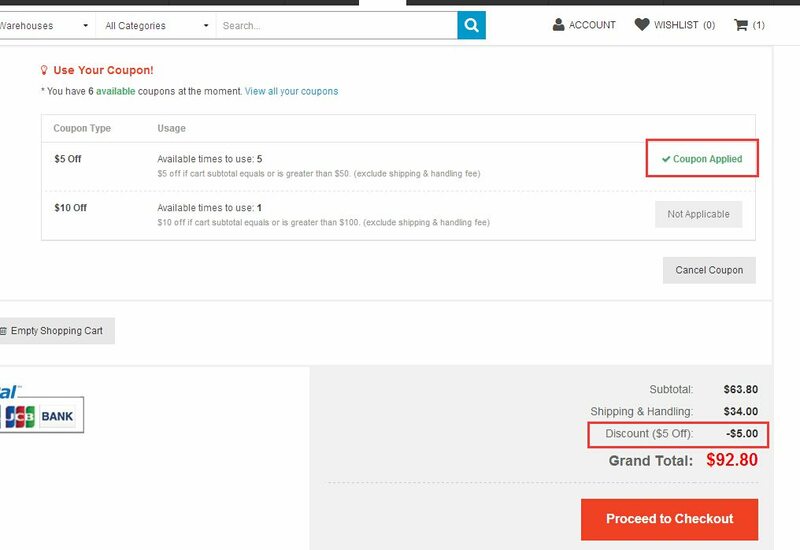 Customer will automatically get a '$10 Off' coupon (validity of 1 year) once he/she has submitted a review with pictures for an ordered product. 4. More Events And Offers! More coming events and offers will be added. Customer will earn more coupons from these events. All coupons can be view at My Coupons page. There are several types of coupons, some conditions must be met in order to apply coupons. $5 Off Can be applied when cart subtotal equals or is greater than $50. $10 Off Can be applied when cart subtotal equals or is greater than $100. 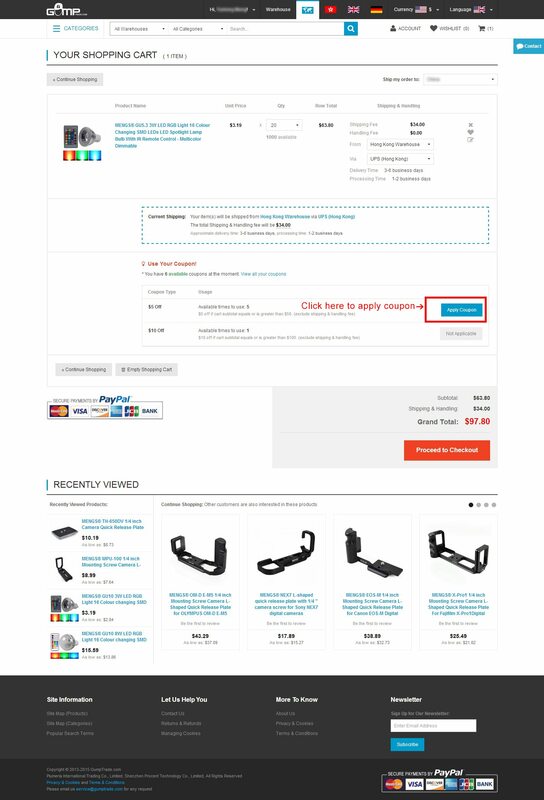 $30 Off Can be applied when cart subtotal equals or is greater than $300. $50 Off Can be applied when cart subtotal equals or is greater than $500. *Only ONE coupon can be applied during single checkout progress. Coupon can be applied either during Shopping Cart stage or Checkout stage. 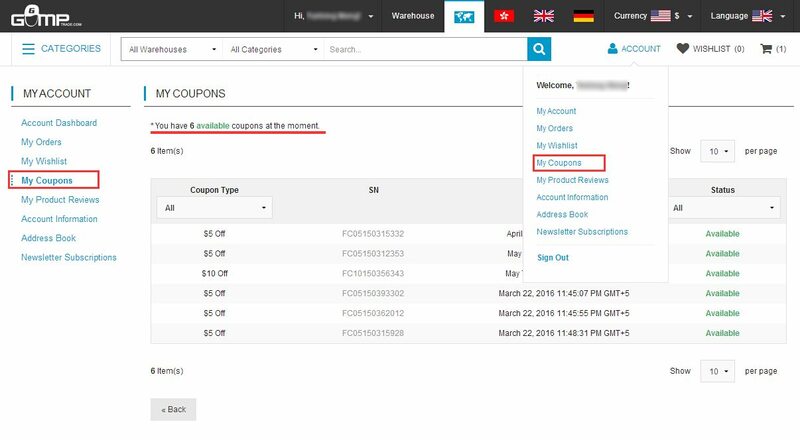 Once a coupon is applied, the cart subtotal will be recalculated accordingly.